Real talk? I always wait until Beauty.com partners with an amazing designer to stock up on my Gulf of Mexico amounts of Paula’s Choice 2% BHA Liquid, i.e., the key to my whole life. This one, BTW, comes with a mini! Here, the details on the exclusive Ulla Johnson Aurora Bag. Receive the product-filled Ulla Johnson Aurora Bag when you spend $100 or more at the prestige beauty retailer. 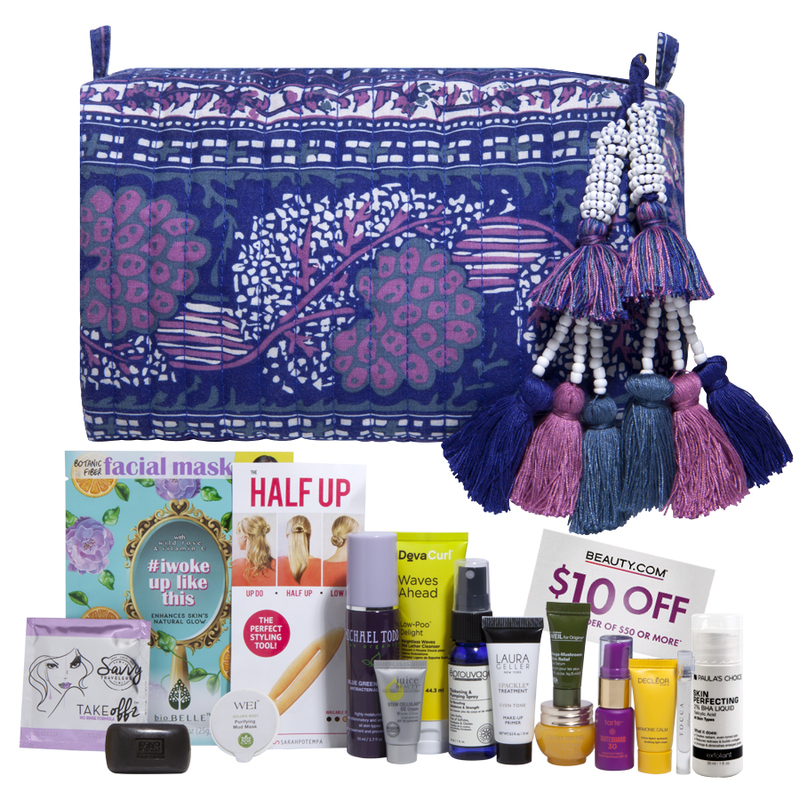 The zippered bag boasts a pretty boho purple print with Ulla Johnson’s signature tassel embellishing the zipper pull. Here’s what you’ll get.